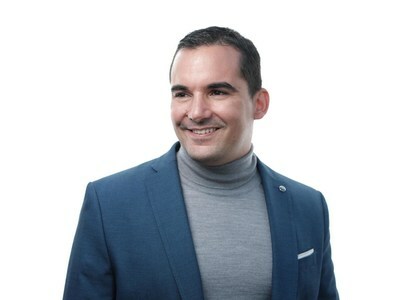 BANGKOK, Feb. 4, 2019 /PRNewswire/ -- From being homeless on Thailand's beach at 20, to becoming a millionaire at 30, Andres Pira became a real estate tycoon in one of the world's favourite destination; Phuket, Thailand. Now, the 36 years old Swedish billionaire is a prominent figure within the Southern Thailand community; through his residence and a growing business empire of 19 companies with 249 employees. In 2019, Andres Pira, CEO of Blue Horizon Developments, remains laser-focused on expanding Blue Horizon Developments and its group of companies from Phuket to other beach locations. For the first time ever, he officially revealed his next development destinations; Bangkok, Samui, and Krabi. "Thailand has been my residence for over 16 years and I love this country! I love the people, the culture, and the Thai way of life. This country has given me the opportunity for growth," commented Andres. He got into the property business when he landed a job as a marketing executive handing out brochures for a real estate developer. Within 1 year, he was promoted to a sales agent, then sales manager, and finally sales director. By year 3, he had harvested several property investors who believed in his vision and ambitions. This led him to his first investor funded property development in Blue Horizon Developments. "Our motto for Blue Horizon properties is a blue horizon view of every unit, the only way I want my tropical stay," continued Andres, "I'm excited to expand our in-depth knowledge and expertise of Thailand's real estate market to other popular destinations in Thailand." Originally from Stockholm, Sweden, Andres grew up unhappy and with no vision for his future. After the sudden death of his grandfather who left him $2000 as an inheritance, Andres decided to pursue his dream of living in a tropical climate with lines of coconut trees; taking his grandfather's death as a sign to start living before it was too late. At the recommendation of a travel agent, he bought a one-way ticket to Thailand. With $100, no contacts, jobs, or knowledge of Thai language, he ended up sleeping his life away on the beach strip of Phuket. Too embarrassed to ask his family for help, he called a friend in Sweden to borrow money out of desperation. "I won't give you any money, but I'll give you a book that might help you," said a friend from Sweden. Both hungry and angry from the response, Andres belligerently read the book on an empty stomach. It was called The Secret: The Law of Attraction. With nothing to lose, the next day he set out to disprove the 'law of attraction' that he read about. "It worked. I visualized getting a cup of coffee; and a stranger passed me a cup of coffee," quoted Andres, "So I learned how to implement practical business principles from visualization and positive thinking. I went from being a skeptic to a true believer of the law of attraction and practiced disciplined principals to attracting wealth, and that changed my life." 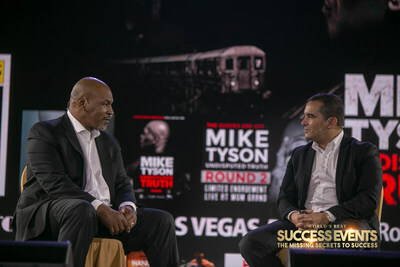 As part of his philanthropist journey, Andres also created and organized Success Events: The Missing Secret to Success, a two days motivational-speaking series in Thailand in December 2018. He now travels around the world mentoring people on his life-changing wealth attraction principals and how to create unlimited opportunities. In 2017, the Phuket-based developer was named 'Top Thai Property Developer' and 'New Hotel Construction & Design' by Asia Pacific Property Awards 2017-2018. 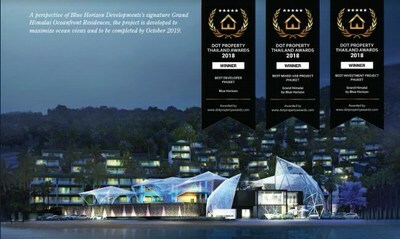 The developer also collected another 3 awards, 'Best Developer', 'Best Mixed-Use Development', and 'Best Mid-range Condo Development Phuket' for their B900 million Grand Himalai Project at the inaugural awards ceremony by Thailand Property and Dot Property Group. In 2018, Blue Horizon was bestowed 'Best Developer Phuket 2018', 'Best Mixed-Used Development Phuket 2018-Grand Himalai', and 'Best Investment Project Phuket 2018 - Grand Himalai' by DOT Property Awards. International Property Awards named Grand Himalai Oceanfront Residences as Best International New Hotel Construction & Design 2018-2019'. Blue Horizon's group of portfolio includes award-winning Best Western 'The Beach Front', award-winning Skylight Villas, Signature Villas, Himalai Oceanfront Condominium, and Heavena Residences by the sea.